It’s Critic vs Screenwriter. Sometimes … maybe … kinda? 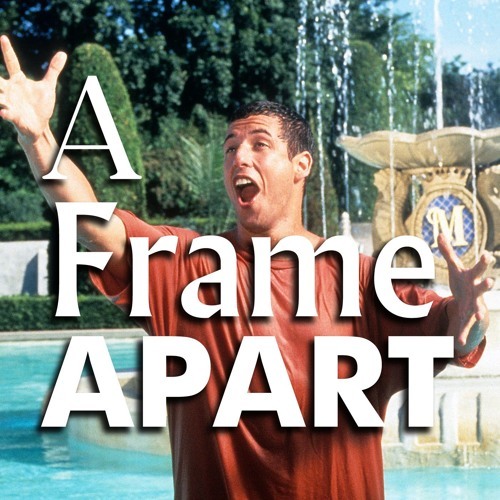 Welcome to A Frame Apart, the movie podcast from divergent perspectives under one roof. We’re your hosts, Ariel Fisher and Bob Barrow. Ariel’s a film critic and freelance journalist, and Bob’s a screenwriter. Each episode, we’ll take a look at two movies that have some sort of connection. Sometimes that connection will be obvious, and others not so much. On A Frame Apart, we aim to provide a variety of perspectives on cinema, not only from the standpoint of professionals on different sides of the camera, but as fans of media, pop culture enthusiasts, and lovers of cinema. We will speak passionately about subjects near and dear to us through film, and expound upon larger issues that permeate our cinematic culture and how we consume media. From horror to comedy, and everything in between, every great film is just a frame apart.